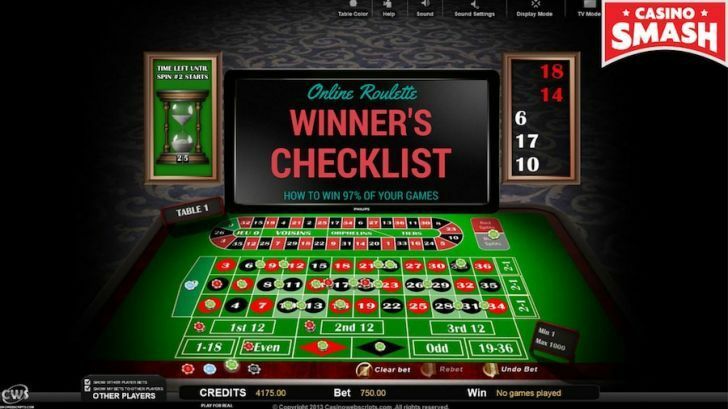 Checklist: Play Roulette Like a Pro And Win 93% Of The Time! 1. Did You Choose a Legit Casino? 3. Did You Lose Some Money? The Five Best Roulette Games to Play RIGHT NOW! Let me be completely honest with you: it's not easy to become a professional Roulette player. You can read every Casino guide out there, try every winning Roulette system you find, and still end up with an amount of money that isn't what your Roulette strategies promised you would get. Whether you play in Las Vegas or you gamble online on roulette tables with a single zero, you should know that you won't find any Roulette strategies that can guarantee you to win a specific amount of money. Roulette is a game of chance, so being lucky when you place your bet is the only honest online winning Roulette system there is. If you know how to make it happen, then I suggest you become a professional Roulette player and you gamble online for eight hours a day. But if you don't - well...then it's a whole different story. You might not make history as the one who learned to beat Roulette and doubled his money on a single spin, but you could still be one of the smart ones who use the best Roulette strategies to enjoy the time spent playing at the table. The Roulette tables are some of the most exciting spaces at a Casino, and that's both a good and a bad thing for you. While the action at the Roulette tables alone can justify a trip to amazing Casinos like the MGM Grand or the Bellagio (provided you can afford to travel to Las Vegas to play), it can also be the reason you don't see your name in the list of famous roulette players. And you don't win any significant amount of money either. When the excitement blinds you, you fail to take the right decisions and to apply the tested Roulette strategies that could help you achieve much better results. And it's not only that. You'll also fail to recognize the players you should care most - the professional Roulette players. Every time your attention goes to the ones who yell the loudest (and I am hoping you are not one of them), you miss the only interesting people at the table: the quiet ones who are too busy doing mental calculations to apply their winning Roulette system to join the party. They are the real winners. They are silent, they do not put up a show every time they win something, and their bets are so boring that you don't even notice them. Do you know why this happens? It's because they don't just play; they work. Play the BEST Roulette Games with a New Bonus! Today, you are about to learn all the Roulette wheel secrets that professional roulette players don't tell you (because you don't ask them), but that can change the way you play Casino games. So, leave your drinks at the bar and cut through the noise to focus on the only players that matter: the Professional Roulette Players (PRPs). You are about to put your hands on the the ultimate Roulette checklist to become much-much better Roulette player. Use it wisely and you could be the next one to join famous professional Roulette players like Christian Kaisan, Norman Leigh, Ashley Revell, and Joseph Jagger. Print it, save it in the photo album on your mobile phone, learn it by heart. Do what's best for you but make sure you have it with you the next time you play live Roulette or you go to the Roulette computers at the Casino for some AI-powered games. 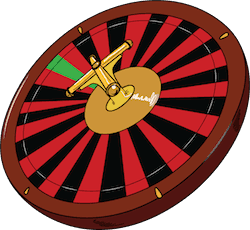 As numerous Roulette forum posters report, this checklist helps you get more than 93% winning chances every time the roulette wheel spins. If you can afford to invest $200 in your game, these tested Roulette strategies can bring your winning chances up to 97% / 98%. But this will happen only if you will follow every step in this checklist and you will play exactly as you are supposed to. Famous professional Roulette players take the game very seriously. Just like they do, you need to understand that there's no room for emotional decisions, irrational bets, or lucky numbers of any sorts. Use this winning Roulette system in combination with the best roulette system in the world and you will have a lot more chance to leave the Casino with an amount of money that isn't as ridiculous as before. 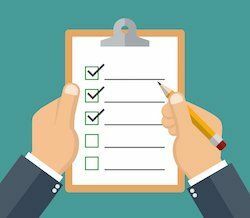 This checklist will get you banned from most brick-and-mortar casino. That's why you should use it to play Roulette online. And when you do, make sure you choose a reputable and honest Roulette site - or the roulette wheel may be rigged for you to lose. If you don't know where to start, you can play free Roulette games on this website. The welcome bonus helps you spice things up and lets you try some of the best games of Roulette online you can play in 2019. Online casinos do not like serial winners. That's why they will try a lot of different things to make you spend your Roulette winnings. 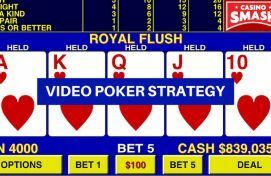 They will offer you to gamble online on the best online Slots, they will ask you to try to win at Blackjack too, or they will just convince you to try their video poker games. Whenever this happens, you can switch to a different Casino site. Hit and runs like this one are good because they give you the opportunity to discover sites that otherwise you would not and they force your main Casino site to make you an offer you can't refuse to have you back. To give you an example, here's the calendar I use to keep track of my games. You can create one just like mine or you can adjust it to what's best for you and your games. Yeah, I don't play Roulette on Sundays. As you can see, I try to include different games in my weekly grind. Although I am familiar with the best strategies to win at Blackjack and I do try many games, I started out as a Roulette player - not as a Blackjack or a Slots one. I play those games to lose, to create the online identity of a player who is nothing more than a gambler who gets lucky at Roulette. Change games often, lose money on purpose if you need to, and the casinos will never find out that you are trying to make some money at Roulette, one spin at a time. 4. Did You Choose a Quadrant? So - let's get to it. All your bets are going to be on the same quadrant and on the same set of numbers. You will NEVER bet on a single number, and you will NEVER switch to a different quadrant or combination before you win. Do you remember when I told you that you need to follow this winning Roulette system to the tiniest detail? Now you know what I meant by that. 5. Did You Print The Right Betting Sequence? Start with a $3 bet, and increase the size of your bet every time you lose. Do this following the table below, and you will be ahead before the 7th consecutive spin begins. 7. Did You Get Back to $3 Bets After You Won? Don't let your winnings fool you: this system works only if you follow every step in the Professional Roulette Player checklist. Every time you win, you need to go back to the initial $3 bet. Don't try to outsmart this winning Roulette system. Don't jump on bigger bets if you don't know what you are doing - or you will lose everything you worked hard for. And, depending on the time you spend at the Roulette wheel and on your budget, this might not be a small amount of cash or free coins - if you don't play games with real money. Now that you know what to do, it's time to start your first winning session. Once you are in, you can keep this page open and watch the video below in case you have questions about this winning Roulette system or the size of your next bet. While the single zero European Roulette is my game of choice, here's a list of other stunning Roulette games you might enjoy to play when you gamble online. The Best Roulette Strategy Ever - Explained!